Disclosure statement: I have used the free and premium versions of Grammarly for about 18 months. This website,TallAndTrue.com, and my blog, RobertFairhead.com, for which I am editor and publisher, are members of the Grammarly Affiliate Program. I may receive payment for this blog post. For ten years, from 2001 to 2011, I published my local dog club newsletter: I was the writer, editor, and proofreader; I organised photocopying of the newsletter; I collected the photocopies and handed them out on the weekend. When asked to volunteer, I agreed to do so because I enjoy writing. However, I soon realised I didn't enjoy the other parts of the publishing process. Like sourcing content for articles, editing and proofreading my writing, and -- no, I won't mention the photocopying because I still have nightmares about lost and crappy copy jobs! One of the most stressful parts of the role was editing and proofreading. I had a spellchecker, but that didn't help with the incorrect auto-completion of "there", "their" and "they're". I'd leave out definite and indefinite articles (the, a, an) and mix-up my prepositions (in, on, at). And as for apostrophes, while I knew the rules, I'd often slip up with "it's" instead of possessive "its". "If ever a dog could come back from the beyond and win a trophy, it would be Geordie." There were many grammatical errors, typos and howlers over the ten years I published the newsletter. In my defence, I caught most of them during the final read ... after I'd photocopied it! Oh, how I wish I'd had my editor and proofreader friend, Grammarly, back then. Okay, so Grammarly would not have stopped me congratulating the wrong dog. Nor would it have made sourcing material for the articles or the photocopying process any less of a chore. But as I've learnt from my use of the free and premium versions, Grammarly would have been a great help with my writing. The free version offers critical grammar and spelling checks. 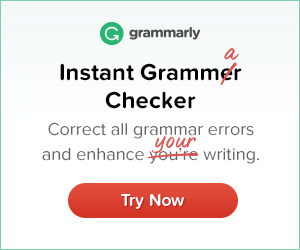 It's an excellent way to learn how Grammarly works and to get up to speed with its toolset. There are extensions to allow you to add Grammarly to your favourite browser. There are also native apps for Mac and Windows, and there's integration with Windows MS Office. Or you can use Grammarly's online editor. In addition to basic grammar and spelling, the premium version offers advanced checks for punctuation, grammar, context and sentence structure. I love Grammarly's vocabulary enhancement and style suggestions, particularly its warnings on the use of passive versus active voice in my writing. I also enjoy Grammarly's weekly writing reports. For instance, last week I was more productive than 99% of Grammarly users, more accurate than 84%, and used more unique words than 99%! I do take issue with some of the reported mistakes, especially on my use (or non-use) of commas. However, I can choose to ignore Grammarly's suggestions. Or I can confirm and learn the Rules for Comma Usage from the Grammarly blog. The years of publishing the dog club newsletter taught me a lot about my writing. I learnt I need an editor and a proofreader, a friend who can spot mistakes and point me in the right direction. Now that I'm writing for Tall And True and my blog, I'm glad to say I've found that friend in Grammarly! NB: A version of this piece is also published on the RobertFairhead.com blog.